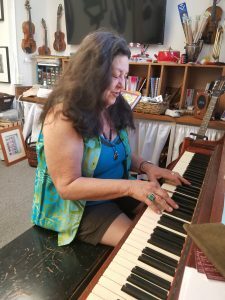 Chrys of the Aeolian Harp teaches piano, all levels and ages. Check with her about scheduling you in. Call 728-1439 (Chrys) or MAE 209-728-6171. 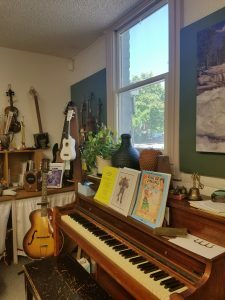 Location: Manzanita Arts Emporium – 1211 S. Main Street, Suite 110, Angels Camp, CA 95222 – Downtown Historic Angels Camp across the street from the Visitors Center. Melody & Rhythm – a little dance, too . . .
Drop off your children & take a break or stay & enjoy: Parents Welcome, too!